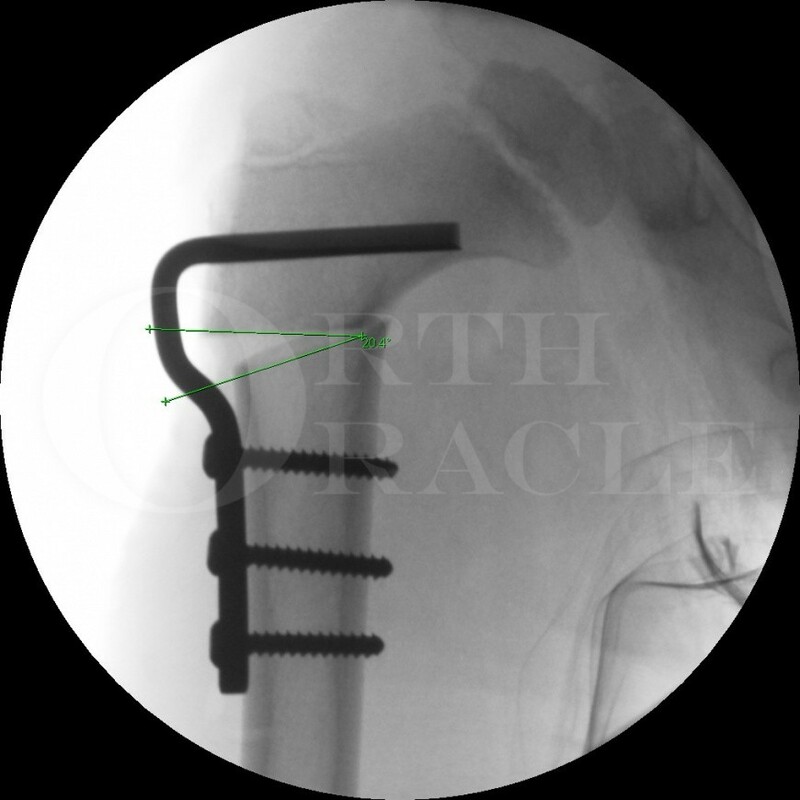 Learn the Proximal femoral varus osteotomy using angled Blade plate fixation surgical technique with step by step instructions on OrthOracle. Our e-learning platform contains high resolution images and a certified CME of the Proximal femoral varus osteotomy using angled Blade plate fixation surgical procedure. There are several indications for proximal femoral varus osteotomy. These include the management of developmental dysplasia of the hip, Coxa valga, hip subluxation in cerebral palsy and containment procedures for Legg Calve Perthes disease. Containment procedures in Perthes can be either femoral or pelvic. Pelvic operations include Salters osteotomy, Shelf procedure and triple pelvic osteotomy. Femoral varus osteotomy is a simpler operation than pelvic osteotomy. However, varus osteotomy does result in shortening of the leg (which is generally already short in Perthes disease). This can be mitigated to an extent by performing an opening wedge osteotomy rather than a closing wedge. In the case of Perthes disease varus osteotomy is generally utilised between the ages of 7 to 10 years. The varus introduced by the osteotomy may remodel in this age group. In older children the varus remains and many will require a valgus osteotomy once the disease process has resolved to reverse the limb shortening. In older children pelvic procedures such as triple pelvic osteotomy provide good containment without limb shortening. Institution: The Birmingham Childrens’ Hospital , Birmingham ,UK.